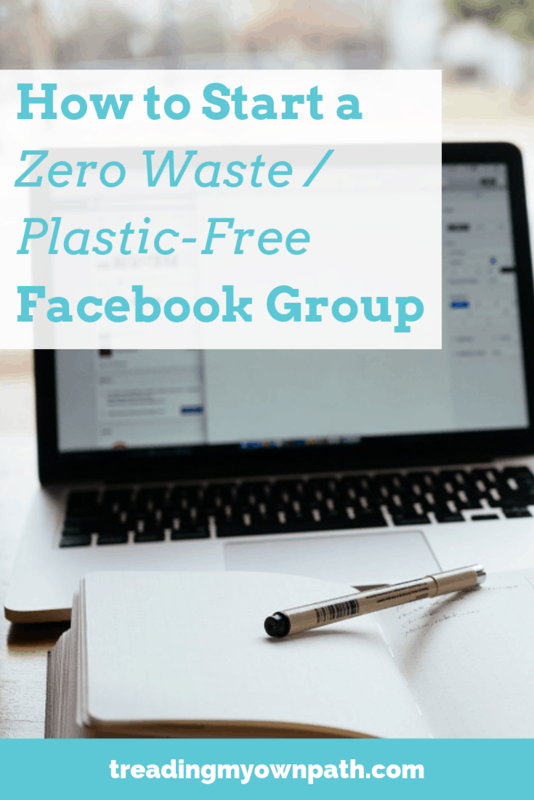 Back in April 2016, I set up a Perth Zero Waste + Plastic Free Facebook Group. I wanted to create a space where local people could get information, ask questions, receive feedback and “meet” other people in our area. My website focuses a lot on zero waste and plastic-free living: the what, the why, and to some extent, the how – but not the finer details. I always felt that this was missing and needed talking about somewhere, but I didn’t know where, or how to manage it. This kind of information changes quickly, and it is a lot for one person to keep on top of. Eventually it occurred to me that Facebook Groups could be the answer. Last week, the Perth Zero Waste + Plastic Free group hit 5,000 members. 5000! I am so proud and humbled that our community has that many people who care about their waste, and that they have all been able to connect with one another thanks to this group. The ideas shared and friendships made has been so inspiring. I’m a huge fan of connecting offline, and there’s nothing like attending a workshop or talk or group activity to really get into the spirit. But there’s definitely a space for online groups. We don’t all have the time or energy to get out into the community, and besides – if you just want to know where to buy plastic-free tofu, that isn’t really a workshop kind of question! I think when they work together – people meeting online and then connecting offline – that’s magical. Our group has been really successful, and has far exceeded my expectations – not jut in terms of numbers, but also the kinds of information available and also the types of people who have joined. It’s a really diverse group, too. I talked about zero waste privilege a few weeks ago, and this group definitely debunks the white, middle-class female myth about zero waste living. I definitely think it’s the members who have made the community what it is. But I also think the success has been due to the vision and the planning, and the way it is administrated. I thought I’d put together a guide for how I set up and how I run our Facebook group, what’s worked well and what I’ve learned. Whether you’re thinking of setting up your own group, or have a group that you’d like to improve, hopefully you’ll be able to draw from my experiences. Think about your audience, the types of people you’d like to attract as members, and the types of people you think that you can serve best. What is your area of expertise, and who will benefit from joining a group that covers this? Think also about how many members would make a good group. More isn’t necessarily better. Do you want a smaller, more connected group who you can get to know and maybe transition to an offline group? Do you want to keep things very local (just to your suburb), or to your town, or region/county/state? Is it for certain language speakers? Do you want the broad depth of knowledge that comes from a worldwide group? Is your group just for women, or men; young mums, retirees, or students; low income earners, the unemployed or professionals? Beginners or experts? There’s no right or wrong answer, but it helps to think about this in advance. Things evolve over time, but if you have a clear idea who the group is for, it will keep the information offered specific and relevant. Try to think deeper than just “everybody”! Whilst “everybody” sounds inclusive, the more general you are, the less helpful you will actually be to your members. For my group, it was specifically people who live in Perth who wanted to learn more about reducing their waste. They can be experts or beginners, but the information shared in the group has to be relevant to living zero waste and plastic free in the Perth area. Why? Because I felt that this information was in my head and needed to be shared, and my website wasn’t the place. I knew people in Perth would want to know the specifics that other blog readers would not. I also remember when I first took part in Plastic Free July back in 2012, the Facebook page was very small. Because Plastic Free July began in Perth, it was easy to get local information there. Fast forward a few years and there are now 30,000 followers on the Plastic Free July page. There is no way you’d find out which local grocers sell milk in glass. I felt people new to Plastic Free July were missing out on something useful that I had experienced. I don’t really believe in competition. When we’re all working towards a common cause, it isn’t a competition, is it? What I really mean is “duplication”. There is absolutely no point in exactly recreating something that already exists. See what exists, and ask yourself – how will your group be different? This doesn’t mean that if someone is doing something similar, that there isn’t space for you. Competition can mean there is high demand! Think about how many cookbooks there are on Italian cookery, or even something as specific as pasta – heaps. However, duplication is wasted energy. There will be a different take or a different spin that you can offer. Be clear what it is. Tempting as it can be to open up the group to everyone, if you’re clear about who your audience is and who you want to participate, be careful about letting others who do not fit those categories in. Whilst it could be fine, you might dilute the message and usefulness of the group for other members. One thing that I should have done differently was be much stricter about who could join the Perth group. The group is for people in Perth to talk about Perth things, but when I launched the group, I opened it up to members worldwide. I think I worried about getting enough members to make the conversations interesting and provide value. Honestly, when I set it up, I hoped to reach about 500 members. The group hit 500 members and kept on growing, and I realised if I didn’t change who could join, we’d end up with a generic audience with less relevance. Firstly I limited the audience to Australia, and then Western Australia. Now anyone wanting to join has to let us know where they live in Perth or WA to be considered as a member. There are still some inter-state and international members who joined before we changed the terms (we didn’t delete anyone! ), but they know that the conversation is Perth-centric. I wrote a couple of documents outlining what the group is about, who can join and how we expect members to behave. Our group is friendly and supportive, it doesn’t matter where you are in the journey and no question is a stupid question. When new members join, they are expected to read this post. Whilst not everyone does, it is helpful to refer back to when conversations stray from the topics. It’s also useful to assess if a post or member doesn’t meet the standards we expect, and needs removing. I started with the people I knew, people who were already Facebook friends. I’m lucky that I have a lot of friends passionate about this topic! I probably started the group with 80 or so personal friends. When I give talks, I always mention the Facebook group at the end as a next step for people to join. (I actually mention this rather than my website.) After every talk I give, a new flush of members comes in. As the audience grows, friends of friends request to join, and so it has grown organically. Unless you’re on Facebook all the time, you’ll likely need admins to help you approve new members, answer questions and delete spam. I asked a good friend and my husband to help admin the group (my husband uses Facebook much more than I do). At the start, I checked in every day, often twice a day (once in the morning and once in the evening). As the group has grown, I’ve found I need to do this less often as there are plenty of knowledgeable people in the group to answer questions and share expertise. As the audience grows, so does the number of admins required. I didn’t react to this quickly enough at the start, and there were a couple of times when huge fights broke out and then blew up in between the times I checked. When someone called it out as the admins “allowing this to happen” I realised it was too big for me to manage. Once a group has been running for a while, it’s easy to spot the people who post often, are helpful, polite, and have interesting insights. I asked a few of these people (I chose people I’d also met in real life, although this isn’t necessary) to join as moderators. I really wish I’d done this sooner – it was a huge weight off my shoulders and it stopped any crazy conversations getting out of hand. Occasionally I post to remind people about the values of the group (being nice to beginners, answering the question asked rather than telling the asker what they are doing wrong, not posting blatant advertising or Amazon affiliate links) but it doesn’t happen that often. Other members who are not moderators know how the group works, and are quick to jump in and remind people if a conversation begins to go off track. Not every single post is 100% useful or 100% relevant, but we try to delete as little as possible. By sticking to the guidelines (no salesy posts or affiliate links, relevant to Perth, and relevant to zero waste and plastic free living) it’s pretty easy to decide whether something should stay or go. Posts about tiny houses in Oregon or India banning styrofoam might be really interesting, but they don’t fit the description of what our group is about, and ultimately they detract from the message. Now we have 5000 members, we have to keep things stricter. We have a lot of posts per day, and we don’t want members feeling like the feed has become a bunch of memes. Happily, I think it’s worked. Overall, I love what our group has become. It feels like a positive, inspiring and motivating space to spend time. (That isn’t something I thought I’d say about social media.) That’s not to say it’s perfect, and there are occasional disagreements and fiery exchanges, but overall the support offered and received is wonderful. It’s one of the best things I ever did to support zero waste living in my community. If you’ve been wondering how you can get the zero waste or plastic free message out into your community, maybe it’s something you can do too. Now I’d love to hear from you! Do you use Facebook Groups for connecting to your community (doesn’t have to be zero waste related) and what benefits have you found? Have you had a good experience, or a bad experience? Had it been mixed? Any other thoughts about Facebook groups you’d like to add? Leave a comment below! Thanks so much, I’ve been pondering starting a group in my own community for a while. This is really helpful. Thanks for a great article Lindsay – and for starting the Perth group! I have found it really valuable for zerowaste tips in different spots around the city, and great to read the posts and the comments and find others are having the same challenges as me. I’ve recently started my own community Facebook group about zero waste and just came across your article from 2017. 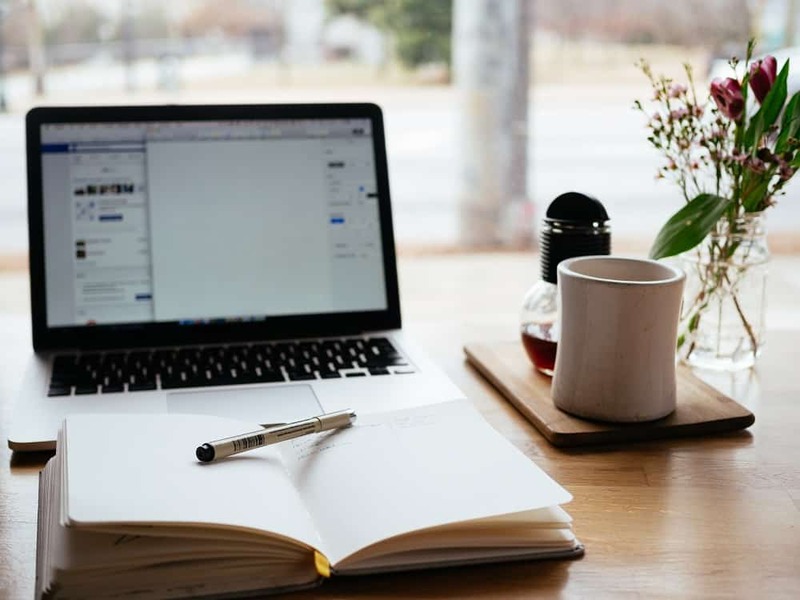 I didn’t see it before I launched my group but it’s not too late for me to adopt some of these helpful tips – thank you! What you do is totally inspirational.